The Nike D810 has been designed as a DSLR camera that produces intense high-definition images. This camera is designed especially for professional photographers. It may also be great for people who want to take videos, what with this also coming with its own high-quality video recording feature to shoot moving images quite well. Made with one of the most powerful sensors in the industry, the D810 shoots images and records videos with impressive precision. This all works with the EXPEED 4 processor, a tool that produces noise-free images that are clear and immediately distinguishable. 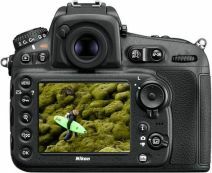 The 36.3-megapixel HDSLR sensor is the main selling point of the Nikon D810. This sensor uses no optical low pass filter, thus allowing it to read more hues. The EXPEED 4 processor is added to the sensor to create an intense attention to detail. This renders images to where they are easier to read in more conditions. It works with shots from ISO 64 to 12800 without creating any outside noise. It does this quickly as well so all shots are as realistic as possible. The sensor also supports the recording to 1080p videos. It can record at up to 60fps or to 24fps depending on the user’s requirements for use. The body of the Nikon D810 is made of a magnesium alloy material. It also has a dust sealing feature to keep the camera from suffering from damages caused by outside materials. It also has a shutter that works for about 200,000 cycles so it will last for an extended period of time. This is also 880g in weight. It is 146 by 123 by 81.5mm in size as well, thus establishing a better total appearance when used right. Of course, it does weigh quite a bit, thus making it more of an option for professionals and those who are used to high-end options. The controls on the top of the Nikon D810 make it easier for people to take great photos. This camera uses a series of buttons that adjust the metering pattern, white balance and AF mode among other points. The top also has a small screen that shows how the controls are being adjusted, thus allowing the digital viewfinder on the back to have more space for displaying the image. The video camera-related controls are all on the back part. Uses can adjust the ISO from 64 to 12800 with the option to expand it to 51,200. A continuous shooting control also lets this works with up to five frames per second of shots. The TTL exposure metering system uses spot and center-weighted options on a 91,000-pixel RGB sensor. It has a metering range from 0 to 20 EV. This also works with more than ten white balance controls and an AF mode with up to 51 points being used at a time based on the controls being used. The viewfinder has 100 percent coverage of the field of view. It offers a 0.7x magnification feature and uses an EL information display with a high contrast feature. This is organized with a beautiful appearance that creates a stronger total look and even has a wider viewing angle. A split-screen feature is also included here. The monitor uses this with leveling and focus features in mind. This allows the camera to show people what is on the screen in as accurate a manner as possible. The critical point about this viewfinder is that it helps the user to find information on images as they are being taken. This in turn creates a better total look that will tand out if used properly enough. The sensors around the Nikon D810 are organized well enough to create an intense attention to detail. 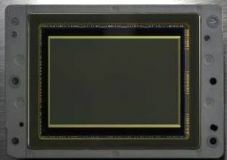 In addition to the 36.3-megapixel sensor, this uses a powerful arrangement that features 51 focus points plus fifteen cross-type sensors with eleven of them working up to f/8. A Group Area AF feature is also added to create a stronger appearance to make it stand out. The images can even support many zooming functions. It works at up to 46x in terms of its zoom feature. The zebra striping feature in the sensor especially makes it easier for users to find information on how well the camera identifies images. This in turn establishes a better sense of control when used properly. People can quickly set up the EN-EL15 Li-ion battery to get the camera to start working well. The battery works with 1,200 shots per charge. This can work with an adapter that is included to get it all charged up quickly. However, a MH-25a charger that is sold separately is best as it allows the camera to charge up quickly. There are a few pros and cons that should be seen when getting the Nikon D810 to work for one’s requirements. The battery will last for an extensive period of time even when many of the tech features on this camera are used. The assortment of different focusing points on the camera lens are organized to cover every spot on the camera. The images do well with all skin tones as it takes in many light sources and displays colors quite well. This operates with less noise on the images than other models. The camera takes a bit of time to start up and to focus properly. With a weight a little less than 1kg, this is a little heavier than many other comparable models. The process of adding additional lenses onto the camera is rather tough to work with and can be complicated at times. It can be tough to go from one file format to another when trying to save images on this camera. 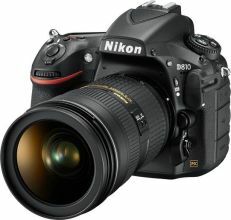 The Nikon D810 is a popular model for those who want a high-end DSLR camera that takes great pictures and videos. It is designed with a bright and appealing body while also using technology to create detailed images.